Corporate social responsibility is a more proactive and recent kind of form of business ethics that is increasingly playing a large role in corporate missions and strategies. American President Calvin Coolidge said in the 1920s that “the chief business of the American people is business.” It was a popular observation in a time of economic prosperity, when issues such as energy security and climate change were practically nonexistent. President Coolidge, like many American presidents before and since, kept government out of the affairs of business as much as possible. But starting in the 1960s and 1970s, the environmental impact of an ever-expanding economy was generating more and more protest from citizens. The result was a wave of legislation designed to reduce the pollution produced by business activity. Those laws had positive effects and are now vital parts of the American regulatory framework. 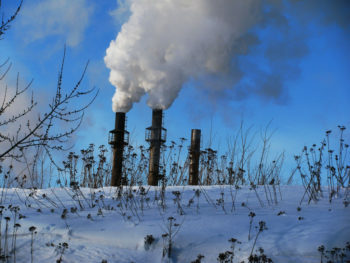 But despite these regulations, controlling pollution continues to be a challenge. And now there are even larger problems on the horizon. Even though businesses today are more efficient and use fewer resources to make goods—thanks to technological advances— many ecosystems continue to suffer. This is because the scale of economic activity grows every year, despite environmental improvements by individual enterprises. Starting a few years ago, many citizens in the U.S. and around the world began calls for more action from private enterprise on these social issues—beyond compliance with regulations and traditional charity-related work. The result was a new movement known as corporate social responsibility, or CSR. Corporate social responsibility (CSR) can be simply and broadly defined as the ethical role of the corporation in society. The aim of CSR is to increase long-term profits and shareholder trust through positive public relations and high ethical standards to reduce business and legal risk by taking responsibility for corporate actions. It isn’t enough for companies to generate a profit and merely meet the letter of the law in their business operations. Today, many U.S. citizens expect them to generate a profit and conduct themselves in an ethical and socially responsible manner. CSR strategies encourage the company to make a positive impact on the environment and stakeholders—that is, all of the parties who have a stake in the performance and output of the corporation. Stakeholders include the company’s employees, unions, investors, suppliers, consumers, local and national governments, and communities that may be affected by corporate activities such as construction, manufacturing, and pollution. For some companies, CSR means manufacturing their products in a way that doesn’t harm the environment and protects the consumer from potentially hazardous materials. One such company that has staked it reputation on ethical manufacturing is LUSH Cosmetics. Increased Pressure from Consumers. Consumers are demanding more from the businesses that get their hard-earned money. Businesses that are perceived as valuing more than the “bottom line” are gaining favor with the buying public. Consumers—especially those in North America—are likely to vote with their wallets against companies whose social and environmental performance is poor. Forty-two percent of North American consumers reported having punished socially irresponsible companies by not buying their products. For example, Starbucks has faced the animosity of anti-globalization rioters. It has been accused of mistreating its staff, avoiding corporate tax, and even wasting water. As the following video shows, the coffee company has been forced to react to increasing consumer pressure. Pressure from Shareholders and Investors. In the USA, where 61 percent of people own shares, more than a quarter said they had bought or sold shares on the basis of a company’s social performance. As the table, below, shows, a similar picture emerged in Canada, Japan, Britain, and Italy. Regardless of where the pressure originates, companies are finding that ignoring their social and environmental responsibility and impact is ultimately bad for business. While there is no universally accepted definition of social entrepreneur, the term is typically applied to an individual who uses market-based ideas and practices to create “social value,” the enhanced well-being of individuals, communities, and the environment. Unlike ordinary business entrepreneurs who base their decisions solely on financial returns, social entrepreneurs incorporate the objective of creating social value into their founding business models. Social entrepreneurship has become exceedingly popular in recent years and a number of prestigious business schools have created specific academic programs in the field. It is often said that social entrepreneurs are changing the world. They are lauded for their ability to effect far-reaching social change through innovative solutions that disrupt existing patterns of production, distribution, and consumption. Prominent social entrepreneurs are celebrated on magazine covers, praised at the World Economic Forum in Davos, and awarded millions of dollars in seed money from “angel” investors, and applauded as “harbingers of new ways of doing business.” Social entrepreneurs are thus often hailed as heroes—but are they actually effecting positive social change? The enthusiasm associated with social entrepreneurship is perhaps emblematic of increased global social awareness, which is evidenced by increased charitable giving worldwide. A 2012 study showed that 83 percent of Americans wish brands would support causes; 41 percent have bought a product because it was associated with a cause (a figure that has doubled since 1993); 94 percent said that, given the same price and quality, they were likely to switch brands to one that represented a cause; and more than 90 percent think companies should consider giving in the communities in which they do business. Our understanding of social entrepreneurship is complicated by the absence of any consensus on ways to measure social outcomes. As a result, there is little concrete statistical data available on the impact of social entrepreneurship. Indeed, there is not much agreement on a precise definition of social entrepreneurship, so it becomes difficult to say to what extent any given company is an example of social entrepreneurship. TOMS’ Chief Giving Officer, Sebastian Fries, recently told the New York Times that the company is “not in the business of poverty alleviation.” Does this mean that increased social value is merely a happy by-product of the business of selling shoes? If so, what makes Blake Mycoskie a social entrepreneur? Some critics go so far as to suggest that social entrepreneurs are merely using public relations tactics to engage in social or environmental greenwashing—taking advantage of consumers’ desire to do good. In some cases, it has been argued, social entrepreneurs can even do more harm than good. Lacking a full understanding of the socioeconomic and cultural dynamic of the developing countries in which they intervene, social enterprises can undermine fragile local markets and foster dependence on foreign assistance. But in the end, the individual impact of social entrepreneurial ventures may outweigh some of these concerns. In the following video, employees of Tom’s Shoes share some of the thank-you letters the company has received. Not all companies approach CSR in the same way. Their approach depends upon their resources, available assets, and corporate culture. In addition, some companies perceive more benefit from one type of CSR than another. The personal beliefs and priorities of senior management/ownership can also influence the company’s approach to social responsibility. Below are some different approaches to CSR. Corporate philanthropy refers to a corporation’s gifts to charitable organizations. There is an implication that the corporation’s donations have no strings attached, which is probably quite rare. At a minimum, most corporations expect that their donations will be publicly attributed to the corporation, thus generating positive public relations. When corporations make large cash gifts to universities or museums, they are usually rewarded with a plaque or with a building or library named after the donor. Such attributions burnish the corporation’s public image, and in such cases we are not dealing with true corporate philanthropy, strictly speaking, but something more in the nature of marketing or public relations. Cause-related marketing (CRM) refers to a corporation’s associating the sales of its products to a program of donations or support for a charitable or civic organization. An example is provided by the famous Red campaign, in which corporations such as Nike and Gap pledged to contribute profits from the sale of certain red-colored products to a program for African development and alleviation of AIDS-related social problems. The basic idea of cause-related marketing is that the corporation markets its brand at the same time that it promotes awareness of the given social problem or civic organization that addresses the social problem. Another well-known example is the pink ribbon symbol that promotes breast-cancer awareness and is used prominently in the marketing of special lines of products by many corporations, such as Estée Lauder, Avon, New Balance, and Self Magazine. In addition to marketing products with the pink-ribbon symbol, Estée Lauder has made support for breast cancer awareness one of the defining features of its corporate philanthropy. Thus, Estée Lauder also frequently refers to such charitable contributions, currently on the order of $150 million, in its corporate communications and public relations documents. Sustainability has become such an important concept that it is frequently used interchangeably with CSR. Indeed, for some companies it seems that CSR is sustainability. This is perhaps not surprising, given the growing media attention on issues related to sustainability. Social entrepreneurship and social enterprise refer to the use of business organizations and techniques to attain laudable social goals. As we’ll discuss further in the next reading, Blake Mycoskie decided to create TOMS Shoes largely as a reaction to his travels in Argentina, which had exposed him to terrible poverty that left many school-age children without shoes. An important part of the corporate mission of TOMS Shoes lies in its pledge to give away a free pair of shoes for every pair purchased by a customer. 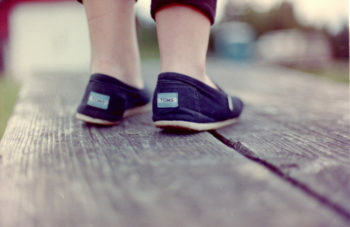 TOMS Shoes’ model has been imitated by many others, including the popular online eyewear brand, Warby Parker. The difference between social entrepreneurship and CSR is that, with social entrepreneurship, the positive social impact is built into the mission of the company from its founding. Other examples of social entrepreneurship include The Body Shop, Ben & Jerry’s ice cream, and Newman’s Own. The Body Shop was founded by noted activist Anita Roddick who insisted that all products be derived from ingredients that were natural, organic, and responsibly sourced. Her employment policies famously allowed every employee to take off one day a month from work to engage in social or community projects. Similarly, Ben & Jerry’s was founded to promote the use of organic, locally-produced food. The company’s founders insisted on a policy that executives earn no more than seven times the salary of factory line-workers (although this policy was eventually relaxed when it became difficult to recruit a competent CEO at those wages). Ben & Jerry’s engaged in a number of high-profile political activities in which they encouraged their employees to participate, such as protesting the building of the Seabrook nuclear power plant in Vermont. Newman’s Own was founded by film actor Paul Newman and his friend A. E. Hotchner with the goal of selling wholesome products and giving away 100 percent of the profits to charitable ventures. To date, Newman’s Own has given away more than two hundred million dollars. Social marketing refers to the use of business marketing techniques in the pursuit of social goals. Often, governments and nonprofit organizations make use of social marketing to make their points more forcefully and effectively to a wide audience. Classic examples are the extremely powerful TV commercials warning of the dangers of unsafe driving or of failing to use seat belts. Cinematic techniques are employed to portray dramatic, arresting images of crumpled cars and bodies, children and mothers crying. The source of social marketing advertisements is usually a local government or nonprofit organization. Social marketing is usually used to try to convince citizens to drive more safely, eat better, report child and domestic abuse, and avoid various forms of criminality and drug use. As with ordinary advertising, social marketing can seem overdone or maudlin, and some social marketing ads have been mocked or considered silly. For example, former First Lady Nancy Reagan participated in a social marketing campaign that urged young people to “Just Say No” to drugs, an approach that was ridiculed as simplistic by many. Noted radical activist Abbie Hoffman said that telling drug users to “just say no” to drugs was like telling manic-depressives to “just cheer up.” Despite that, drug use in America declined over the time period that the campaign was in progress, though there is no evidence that any part of this decline was due to the campaign. From the beginning, CSR has been the subject of much debate. CSR’s critics argue that the main responsibility of businesses is to maximize return to their shareholders. They point to the corporate legal system as the proper place for regulating businesses’ conduct with society. And besides, businesses are already fulfilling a key public service by providing jobs and services that society needs. Other critics assert that many so-called CSR activities are really just publicity stunts and corporate “greenwashing.” Greenwashing refers to corporations that exaggerate or misstate the impact of their environmental actions or promote products as being “eco-friendly” when in fact they’re not. Supporters of CSR contend that there are significant profit-related benefits in socially responsible behavior. Companies are using their CSR activities to recruit and keep the best management talent and to establish partnerships with communities to increase company influence on legislation. And companies that make social responsibility an integrated part of their business actually are managing risk—a key part of corporate development strategy. Despite the ongoing debate, trends indicate that CSR is gathering force and is here to stay. More and more leading companies in America and worldwide are releasing sustainability reports. Plus, new industries like clean energy provide social and economic benefits while fighting environmental problems like climate change. The result of that combination has been called one of the greatest commercial opportunities in history. The controversial aspect: Is CSR a good thing or is it just corporate window dressing? Against global warming–related CSR: Companies spend a lot of advertising money to boast about small measures against global warming, but many of these companies are in industries—such as fossil fuels or automobiles—that produce the most greenhouse gases to begin with; self-serving claims of climate-change concern are often simply greenwashing campaigns intended to distract us from the need for society to take more effective measures through taxation and regulation. In each of the debates outlined above, there are intelligent and well-informed people on both sides of the issue. How CSR is defined and practiced differs for each enterprise. But for all those companies, the view seems to be that CSR programs are a good investment.